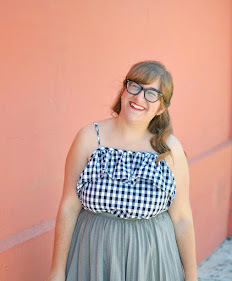 I'm over at Flock Together today, showing you how I styled Erica of Sweets and Hearts' striped skirt. Isn't it a beauty? Head on over there to see the full post! I love this outfit on you. It is the perfect mix of texture and pattern! Commented on FT too, but I really do dig this look on you. this is absolutely adorable. love the pop of mustard !! You know, now that I think about it, that's a staple I still don't have in my closet...a striped skirt! Cute outfit! Love the stripe skirt! Would you like to follow each other on GFC and Bloglovin? Let me know! LOVE this chic outfit. Your scarf is a cute touch!